Qatar Racing Club hosted 2nd round of the National Street Drag Championship that has significantly continued to attract racers within Qatar. The two day event saw,two drivers and one rider retain the titles from Round 1. Majed Al Sharshani clinched his second title National Street Drag Round for the 8 Cylinder Modified category of the 2 season 2017-2018 when he out ran F Al Mansoor at the finals in Qatar Racing Club! 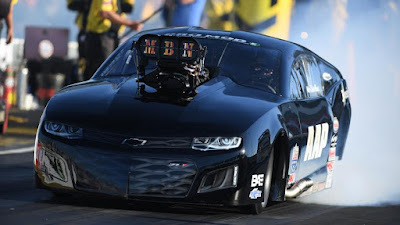 Majed Al Sharshani registered a low ET of 8.263 and a top speed of 164.29 in the championship earlier in the round and came to the finals as qualifier one to bag his second win this season. For the second time in his career this season,Dawood Al Sharshani raced his 2012 Suzuki Hayabusa real street drag bike to a second title of the championship,outrunning S Munir at the finals of the NSD Round 2. I am super excited to win these two rounds back-to-back here in Qatar. This gives me and the entire team morale as we kick into ADRL season premier.Am grateful for Qatar and thankful to all of the guys onboard - Dawood Al Sharshani delighted at the NSD R2 Winners Circle. At the 8 cylinder stock,Abdullaziz Al Hail upset M.Kafoud for the title of the NSD Round 2 racing his 94 Ford Mustang to the round 2 title. M.Kafoud registered top speed of 149.40 in the round's event,while Al Hail registered a low ET of 8.384. 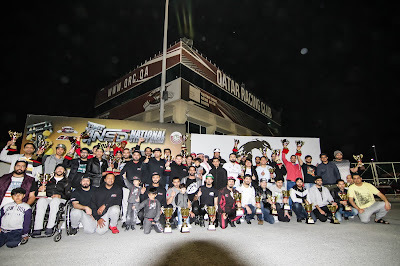 It is the first time this season that Al Hail has won the V8 Stock category. In the truck modified category Jhalal Khan's 2008 V8 Toyota Tundra swapped lx engine achieved his all time personal best to win a second title of championship this season and could probably be a world record running his unique set up Significantly modified Toyota Tundra with slick tires at the rare (mainly for traction) and street tires at the front to a 11.227@121.10. He lined up against A. Al Motawa ran a closer 11.895@118.59 to settle for the runners up at the winners podium! It was hard work from the garage Top RPM Garage and Mike from Al Anabi Performance who came along with tuning as i am running MoTec.Am comfortable with this set up and its amazing what more we can achieve. - Jhalal Khan at the winners circle in Qatar Racing Club. Visit Here for complete results from NSD R2! 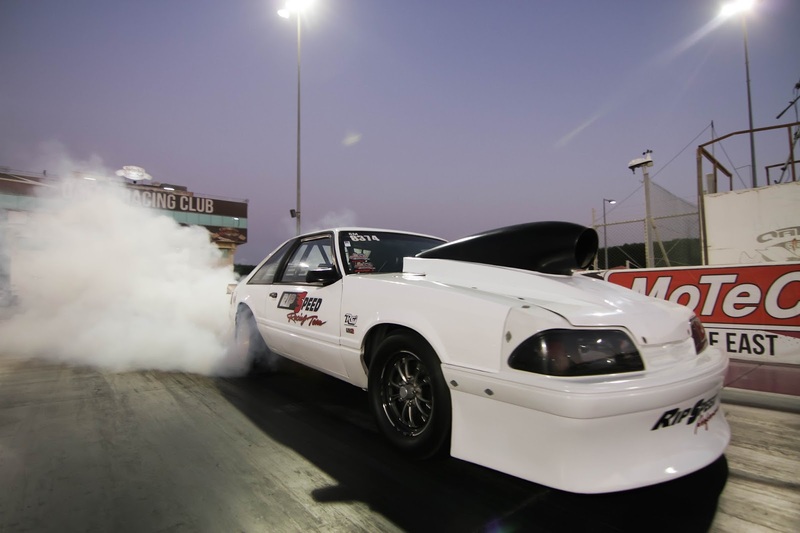 Round 3 of the National Street Drag Championship will be announce officially by Qatar Racing Club. But for this week all eyes turn to Season Premier of Qatar Mile R1 at Al Khor.